The Lalone Name Has Meant Quality Well & Pump Service Since 1898. To offer our customers the highest quality service at fair and competitive prices. To ensure the longevity of our company through repeat and referral business to be achieved through customer satisfaction in all areas including timeliness, attention to detail, and service-minded attitudes. To utilize the ever improving technology available and to purchase American made products when available. To maintain the highest levels of professionalism, honesty and fairness in our relationships with our customers and suppliers. Mike Lalone runs the business with his four sons; Kevin, Alex, Chris, and Matt. The family has been determined to stick together as Mike Lalone Well Service rather than branching out into separate companies. 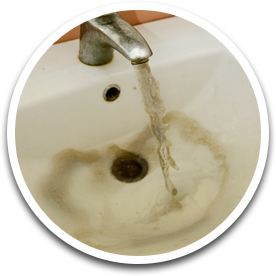 Together, we have been able to focus on the technological advancements that have made them the best well and pump repair and installation company in the area. We explore new technologies every day, and we only use the best quality and most efficient pumping systems for their customers. Why Should You Choose Mike LaLone Well Service? The LaLone name has been well known in the water and well industry for over 100 years. With our long heritage, we value innovations, new technologies, and evolving along with the industry. We are committed to premier customer service and aim to be our clients' partners, finding solutions to meet their needs. The LaLone name stands above our competitors because we have experience in new technologies paired with a tradition of excellence. Our advanced water treatment systems are designed by our State Certified Water System Operator, and we have technologies to minimize lawn damage by repairing water lines entirely underground. 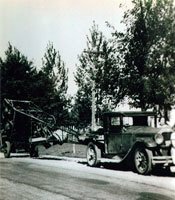 The LaLone family has been synonymous with water wells in Michigan since 1898. It all started with John LaLone Sr. in Rosebush Michigan, just northwest of Mt. Pleasant. He was a lumberman by trade who recognized the need for clean and safe drinking water. With ingenuity, he built a drilling rig from scratch and began working on the side drilling water wells for those in his community. John Sr. continued working in both the lumber industry and drilling wells for almost two decades until he moved to the Detroit area. John saw the opportunity to develop a side well-drilling business here in Pontiac and again provide extra income for his family, and so he did. John built his equipment by hand and utilized innovations from the nearby manufacturing industry to advance his well-drilling equipment, including the towable tip-up rig. This drill rig was towable by a truck making getting to the job site easier. John's innovation changed what used to take a day into a quick half an hour process. During the move in the winter of 1917, a seven-year-old Roy, the grandson of John Lalone Sr. make the trip to Pontiac with his grandfather. At age 20, Roy followed in John's footsteps, and he bought his first drilling rig, continuing the family passion of well drilling “on the side.” Even as his well-drilling company grew he continued to work the factory floors, especially during the Second World War. He did this mainly to obtain fuel credits so that he could drill wells. After the Great War, he went full tilt into the water well-drilling industry, leaving behind the manufacturing life. Humble Beginnings of Mike LaLone Well & Pump Service, a Family Company. Mike Lalone, one of Roy’s sons, bought his first rig in 1968 and began his well & pump service company. Mike set out to earn the trust and confidence of his customers, with his family reputation he understood that most important was to value his customers. Mike continued the tradition of innovation, noticing a need for residential well and pump repair service he purchased smaller equipment and learned new techniques to minimize lawn damage. 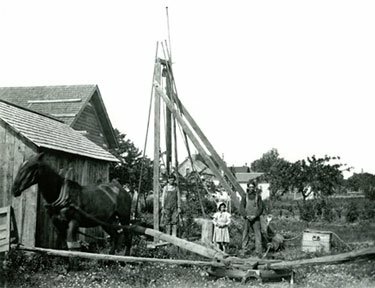 He developed new ways of rehabilitating old wells and fixing broken equipment, saving his customers thousands.